Handling checks and deposits is a game of risk for banks. The check you deposit in your savings account could easily come from an account that doesn't have money in it or from a fraudulent account. To avoid losing money, a bank will often put a hold on the money you deposit into a savings account. Your bank's policy for holds should be included in the account agreement you received when you opened your account. Your bank can't legally hold your money without telling you. A hold could be placed on your savings account for a variety of reasons, ranging from an excessive number of overdrafts to the possible detection of fraud. The Code of Federal Regulations states how long a bank can hold your money and the permissible reasons for a hold. Under the regulations, a bank also needs to disclose information about the hold to you in writing. Depending on the type of deposit you make, the bank can't hold the money for very long. For example, cash deposits, deposits of money orders from the U.S. Postal Service, and deposits from government checks, need to be made available the next business day. Your bank might have several reasons for placing a hold on funds you deposited into your account. If you've only recently opened the account, the bank has the right to hold deposits for longer than usual. An account is new if it's been open for less than 30 days. The bank can also hold a deposit if it has reason to believe that the check is fraudulent or suspicious. If your account has a history of overdrafts, your bank can hold deposits for a longer period of time, too. The bank can hold out-of-state checks for longer than it can hold checks from the same state. How long your bank can hold the deposit depends on the source of the money and the size of the deposit. The first $200 of a deposit needs to be made available to you by the next business day. In most cases, funds from a non-local bank, or a check from out of state should be available to you by the fifth business day. If you've deposited a large amount – more than $5,000 – from a local check, or a check from the same state as your bank, it can hold the amount that's over $5,000 for up to five days. Can I Write a Check From One Account to Another From Different Banks? Banks don't place holds on every type of deposit. 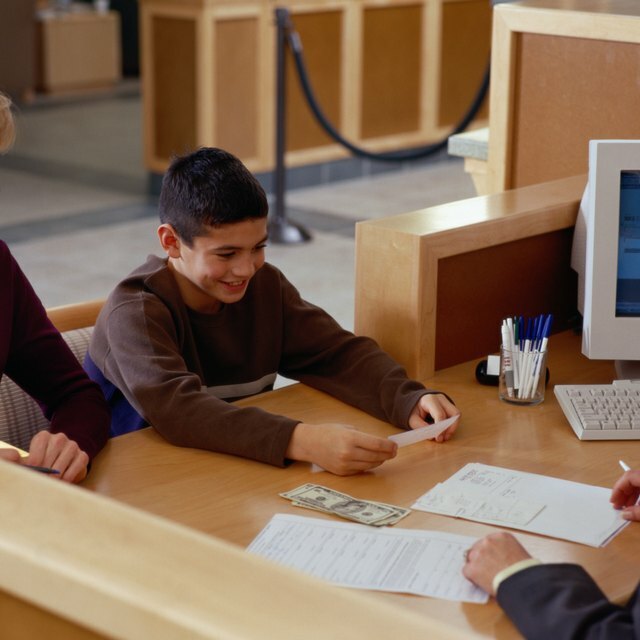 If you are concerned about your bank holding money in your savings account, you can use a different method of payment. While banks can put holds on your payroll checks, they don't put holds on money that is directly deposited into an account. Your bank also won't hold money that you receive through a person-to-person transfer. For example, if your friend has an account at the same bank as you and transfers money from her account to yours, the bank won't hold it.